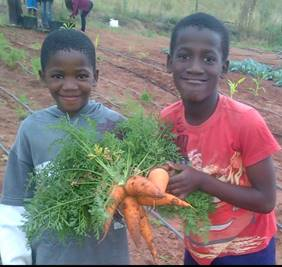 The objective of this project was to establish and assist in the management of a sustainable vegetable garden in order to produce a range of vegetables sufficient to feed all children and staff at the Lily of the Valley Children's Village, Kwa-Zulu, Natal, South Africa. The orphanage, Lily of the Valley, (LOV) is situated midway between Durban and Pietermaritzburg in the Province of Kwa Zulu Natal, a district known for its natural beauty and known as “The Valley of the 1000 Hills”. LOV cares for about 122 orphans who were mostly orphaned as a result of the Aids epidemic in Africa. The Rotary Club of Applecross is the sponsor and lead international club and the Rotary Club of Hillcrest in Natal, is the host club for this project. The project leader is Applecross Rotary member Hamish Turner and PDG Peter Dupen from the Rotary Club of Hillcrest has been the Rotary ‘in country’ representative on the project.The project was supported by donations from the Applecross Rotary Club and six other Western Australian Rotary Clubs and by a private donation. This project was registered with Rotary Australia World Community Service in May 2014. Support has also been received from South African seed and herbicide suppliers Villa Crop Protection, Starke Ayres and Omnia who have provided their products in accordance with their obligation to assist in providing social and economic development. The Lily of the Valley organisation has taken on the management of the project. A graduate from the University of Zululand, Faith Gumede, has been employed as the Project Manager. 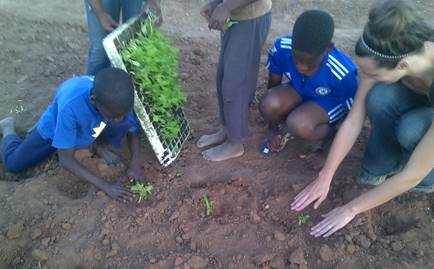 She has the added responsibility of training students in various levels of horticulture. She has good communication skills and is highly motivated. The intention in establishing such a garden was also to provide some of the senior students with experience in modern agricultural techniques that could lead to a career in Agriculture. 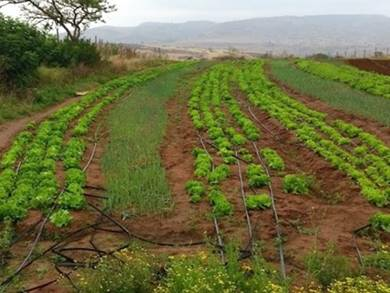 Modern agricultural farming methods are very different from the traditional way Zulus grow crops. LOV has about 4 hectares which was surplus to their normal needs and all this land had the potential to be converted over time into vegetable production. The land was virgin grassland with native shrubs and small trees. The challenge with virgin land is controlling decades of seeds which would germinate given the right set of conditions. 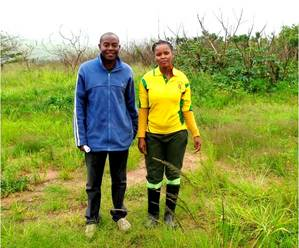 Faith Gumede with Mafuru, an advisor on the land prior to spraying and cultivation. Initially 1 hectare was developed by adopting the appropriate production techniques. Soil preparation took 3 months of multiple applications of herbicides – and patience. 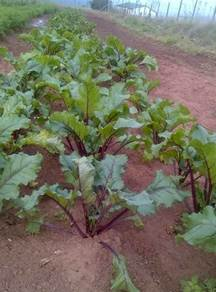 Various vegetable crops were subsequently planted and flourished producing a very high quality produce due to good pest and disease control; the right nutrient input and the adoption of a Protectant Pest and Disease strategy. 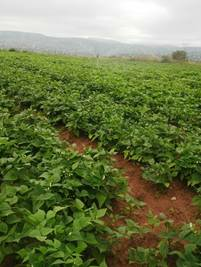 Crops were rotated in order to reduce the development of disease. 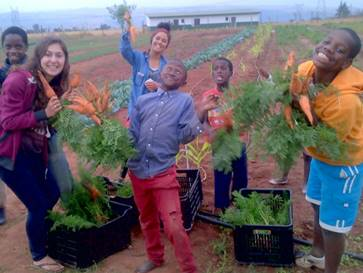 The program has been designed to plant corn and potatoes, sweet potatoes, carrots, many varieties of beans, pumpkins and spinach. The Rotary Club of Applecross thanks Club member Hamish Turner, his team, all of the financial contributors, the Rotary Club of Hillcrest, Natal, the sponsoring companies and the Staff and Students at the Lily of the Valley Orphanage, for their support in making this project a success.